Verify the adjustment of the control lever is not too tight. Tighten the adjusting screw an additional 1/8 turn. 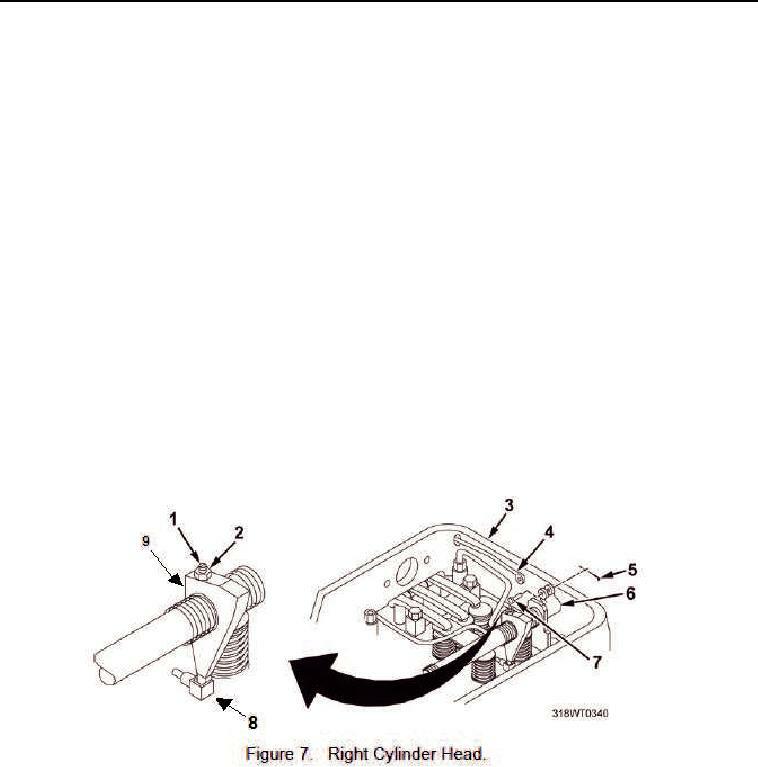 Disconnect the fuel rod (Figure 6, Item 1) from the clevis lever (Figure 6, Item 4). Install the clevis pin (Figure 7, Item 7) through the clevis lever (Figure 7, Item 6). Install the cotter pin (Figure 7, Item 5) through the clevis pin (Figure 7, Item 7). The full fuel position is reached when the injector lever is completely in the injector rack. in damage to injector rack control tube.